Upgrading your WordPress website’s theme to the latest version is prominent, not only to ensure up-to- date any security loopholes but also to have all the upgraded features. If you are using a tool that automatically stores your customization, you don't need to worry about updates. However, if you don't have an automation tool, you can learn how to upgrade your WordPress themes via different methods mentioned in this post. 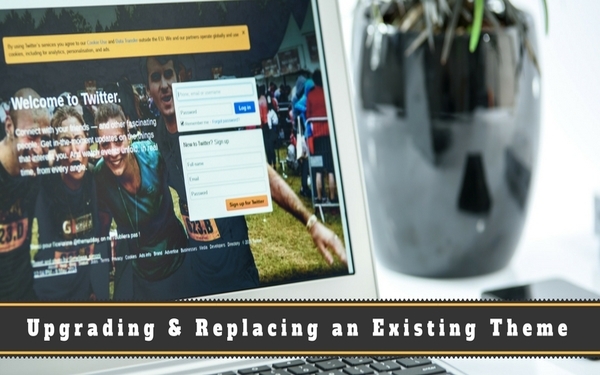 Before we delve into how to upgrade WordPress theme, it is important that you backup your are that something can go wrong at any point in time, which is why it is best to have a backup and play safe. Simply copy the entire directory of your WordPress website to your systems using FTP. You can also use plugins like Snapshot Pro, which run automated backups at particular intervals to ensure the data of your website is backed up and is safe from site location. Coming to how to upgrade WordPress themes, there are various automated and manual ways to do the same without losing the customization. As soon as the new version of WordPress theme is released, you are given a notification in the WordPress dashboard to update your theme to the upgraded version. You can simply go to Appearances > Themes in the admin panel of your WordPress website and updated it. This way you can update WordPress manually, without deploying lengthy code to your website. Remember that this feature will work only for those themes that are downloaded via the official theme directory of WordPress. If you are using third-party themes, follow the instructions offered by their respective directory. Indubitably, updating your themes automatically is one of the easiest ways to ensure your WordPress website gets the latest features and upgraded functionalities as well as fix multiple security patches. However, WordPress installation experts do not recommend automatic updates, particularly when you have tailored your parent them and not even using a child theme. You might be aware of the fact that the greatest benefit of all provided by WordPress is the extraordinary flexibility; using which, you can easily customize your WordPress website. While it may be as easy as just adding a code snippet to your functions.php file, most beginners follow the wrong practice of tweaking their WordPress parent theme file by making changes in CSS. The concern is that as soon as you update your theme, all the tailored changes get lost and, as a matter of fact, can result in a broken WordPress site. So, how do you ensure that all changes are preserved without affecting the site? By using a child theme! If your WordPress website has a child theme installed, you can tweak the files as per convenience and the parent file remains untouched. You don’t have to be an expert to be able to create a WordPress child theme. You can do so by creating a skeleton of your CSS file, upload your new theme into a .zip file, and upload it to the dashboard. Having mentioned that, not everyone needs a child theme, especially if you are planning to make slight changes in your CSS files. However, if the changes are too many, creating a child theme is a viable option. In case, you have made all the customization of the parents’ theme and don’t have a child theme, you need to preserve these changes after updating it. Simply copying and then pasting the changes to the updated theme would not help as identification of the tweaks after updating a theme becomes difficult. It is why you should focus on using third-party programs to keep the track of changes so as to implement them in the updated version of the theme. a) Login to your admin panel, remove the old theme and then try uploading the new version. What If You Lost Track of The Customization! 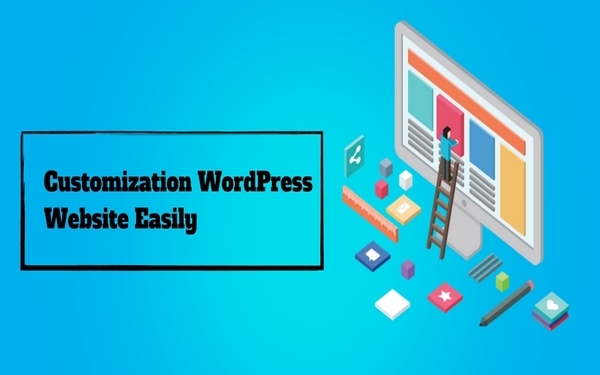 In case you forgot all the customization made to your WordPress website or you can’t remember the tweaks, there are programs that can help you. Kaleidoscope and WinMerge are two popular programs that allow you to compare two different versions of your themes. Using any of these programs, you can copy your old and the updated version of the theme to your desktop in order to drag and drop the files to be compared. You will see the text in both files side-by-side to analyze all the changes, which you can use to copy over all customizations. Upgrading your WordPress themes to their latest versions is the right way to strengthen your website with new features and improved security. The key point to remember while upgrade WordPress theme is that you have made a backup of everything-database, new theme, and your old theme- in order to ensure everything is controlled if things go haywire. By creating a backup, you will be able to start the process again, without compromising on the data. Next PostIs plug-ins influence the creation and maintenance of WordPress databases?